So, how do you make sure your important updates are noticed by your audience? Here’s where Twitter video comes in. 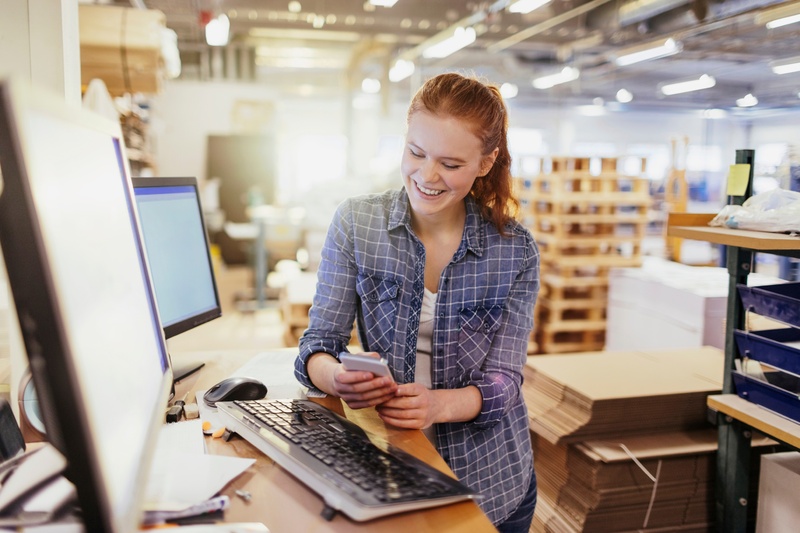 It is a powerful feature that can help your brand stand out on social media, connect with your audience, and share the story of your business in an engaging way. What is a Twitter video? Twitter video is exactly what it sounds like – a video embedded in a tweet. Just like other social platforms, Twitter encourages native videos (i.e. videos uploaded directly to the platform, as opposed to sharing a link from YouTube or other video hosting platforms). 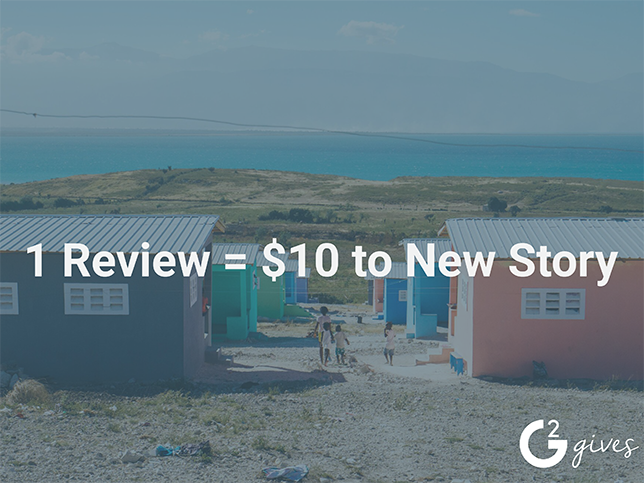 We've reached a lot of amazing new milestones in 2018 — $100 Million in total funding, over 50,000 validated products and now over 500,000 verified #B2B #Reviews! Why use video on Twitter? As per video marketing statistics from Twitter, videos on Twitter generate 2.5 times more responses, 2.8 times more retweets, and 1.9 times more favorites. Plus, 82 percent of users watch video on Twitter. Tweets that contain videos are more engaging for users. It’s easier for people to remember a product or brand if they’ve seen it in a video vs just reading a tweet or a blog post about it. Twitter videos can accomplish a variety of purposes to help your business grow. Introduce your company and attract new clients. Answer people’s tweets in a more personal and engaging manner. In this sense, GIFs are my favorite! 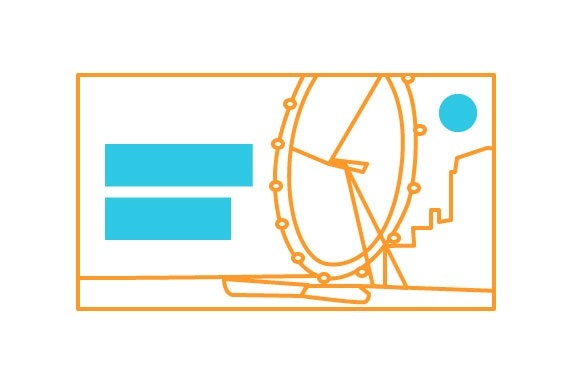 Create teasers for exciting things to come. Attract attention to a new blog post you published. The possibilities are endless. So, how can you start creating videos for this social platform? When it comes to Twitter video length, it is very reflective of the site’s users’ behaviors. Twitter users have grown accustomed to short bursts of information. Therefore, I’d recommend that you make your videos as short as you can possibly get them to be. If your video is too long, Twitter offers a “trim” feature that allows you to cut it down to meet the length requirement. The maximum length is 2 minutes and 20 seconds. However, that doesn’t mean that you should make your video this long. 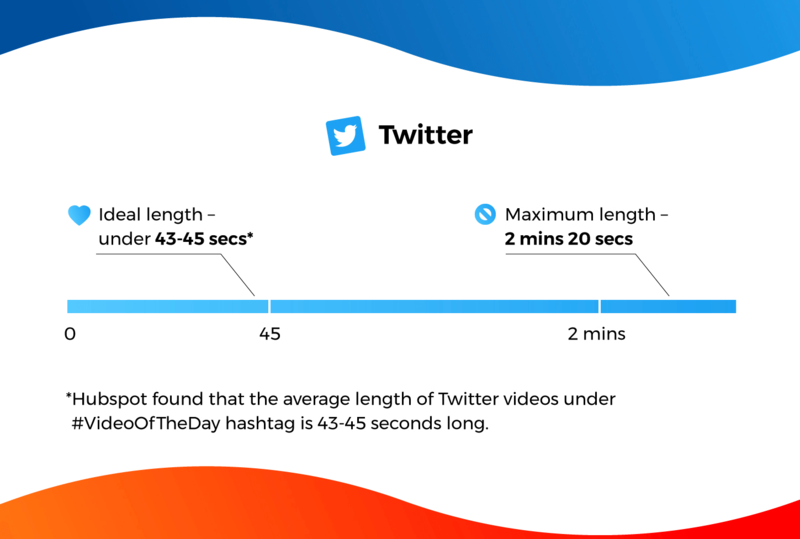 In fact, in one of its studies, HubSpot found out that the average length of Twitter videos under the hashtag #VideoOfTheDay is 43-to-45 seconds long. Because 90 percent of Twitter videos are watched from mobile phones, it is important to optimize the videos that you post on this social platform for mobile –meaning your video loads fast and possibly has an enticing first slide that will make people want to watch the video till the end. 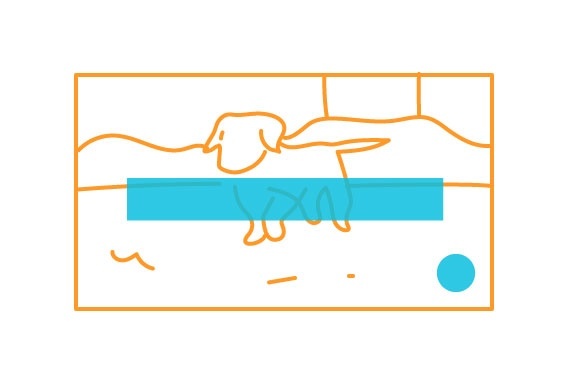 To make sure your videos are extremely compelling to prevent people from scrolling past, it’s a good idea to show animals or people in your videos. A recent study by Animatron revealed that videos and video ads featuring people and animals perform better, as we empathize with living beings more than abstract graphics or inanimate objects. You don’t need fancy equipment to make your first Twitter video look great. You might even just use your phone with a few non-costly additions. Lighting: When it comes to making a great video, decent lighting is just as important as a good camera. There are plenty of options available on Amazon for as low as $6.99. You might also go with the natural light. In this case, pay attention to the position of the light. Ideally, you should place the source of light 45 degrees to one side. Tripod: Most modern smartphones have a built-in stabilizer. However, to make sure your video runs smooth, you might want to get yourself a tripod. External mic: If you are planning to do a lot of talking or interviewing people, it’s a good idea to get an external microphone. Built-in mics in smartphones might be low quality, and the sound won’t turn out that great. Once your footage is ready, it’s time to give your video a final polish. It’s a good idea to add an intro and outro to your Twitter videos, in order to give them a branded look and let your audience know what the video is going to be about. Your intro doesn’t have to be anything fancy. A simple video with your logo and video title will do. There’s a great variety of free video editing software tools out there. Depending on your needs and how comfortable you are with using software, you might even go with some free options first. There are also many resources on how to edit videos for beginners. If you are not comfortable on camera, you can even make a video from stock footage websites, using video makers like Windows Movie Maker, Wave.video, or RendrFX. 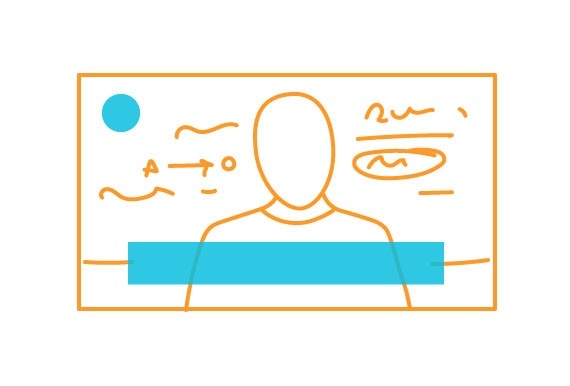 We’ve covered some ingredients that constitute a great Twitter video. But if you want to brand your video, where should the watermark go? Where should you put the subtitles? When should you add a call-to-action (CTA)? After having analyzed the most popular Twitter videos, we have come up with a formula to create a great-looking video that will engage your audience big time. When you have an object shifted to one side, place your text in the free space next to the object. The logo can go to the top right/left corner. When editing a talking head video, add your text to the lower part of the screen. You want to make sure the focus is on the speaker, so make sure you don’t obstruct them with text. You might want to put the logo in one of the upper corners of the screen. If you are showing a moving object or subject that is pretty much centered, it’s okay to place your text across this subject, as long as the text doesn’t stay there during the whole video. This way, you will be able to focus the viewers’ attention both on your footage and text. It works particularly well when you are featuring a hashtag, date, or website name. Once you've created your Twitter video, it’s time to upload it to the platform. Videos can be uploaded directly to Twitter from a computer, phone, or tablet. There are several different options to upload a video. You can import a previously recorded video from your device the same way you would with a photo or tweet (click on the blue photo icon when you log in to Twitter). I’d recommend accompanying the video with a short description so that viewers get interested and know what the video is about. Using your phone and the Twitter app, you can also record a video and upload it all at the same time. Just click on the blue video/camera icon. 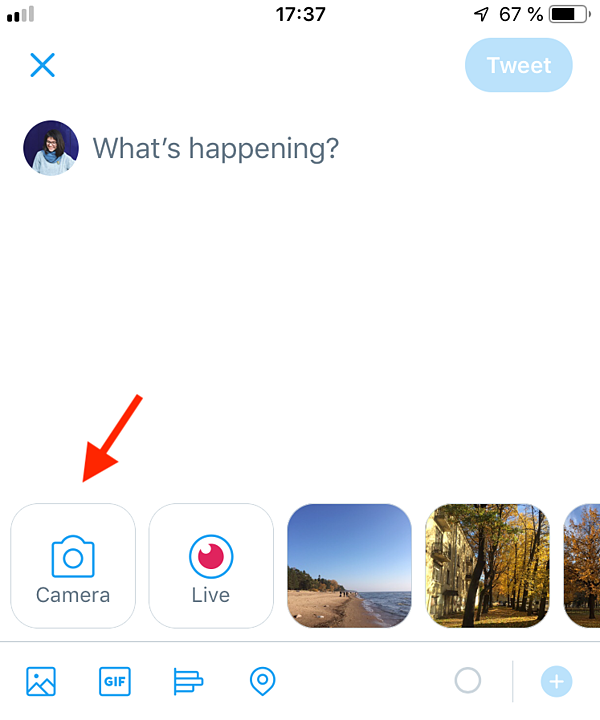 You can create a live video using Periscope (the “live” icon in the Twitter app). One good thing about Live videos is that you’re not bound by a time limit. Twitter video can be an engaging and powerful instrument that will help you connect with your audience. Try incorporating it into your Twitter marketing, and you are bound to reach new great results. Ready to take your business's social media to the next level? Learn more about the best social media marketing strategies in 2018!